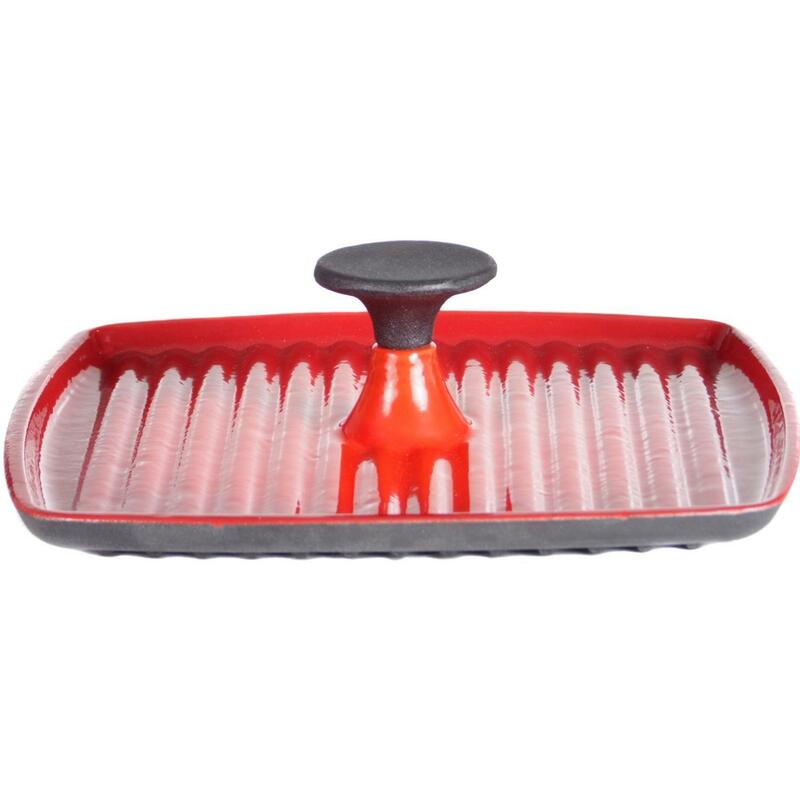 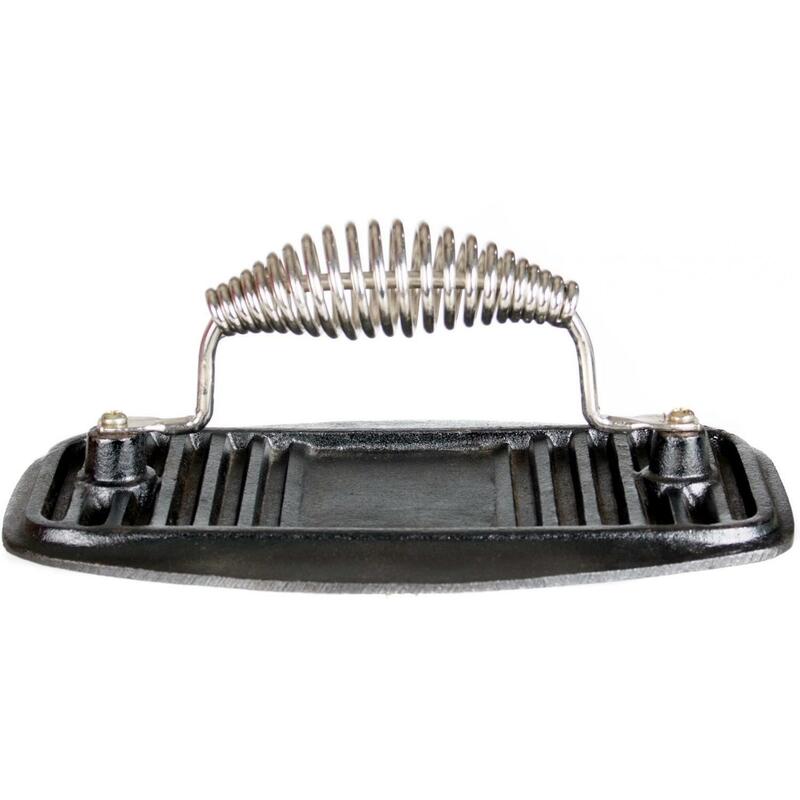 Product Description: 4 X 8-Inch Cast Iron Rectangular Grill Press. 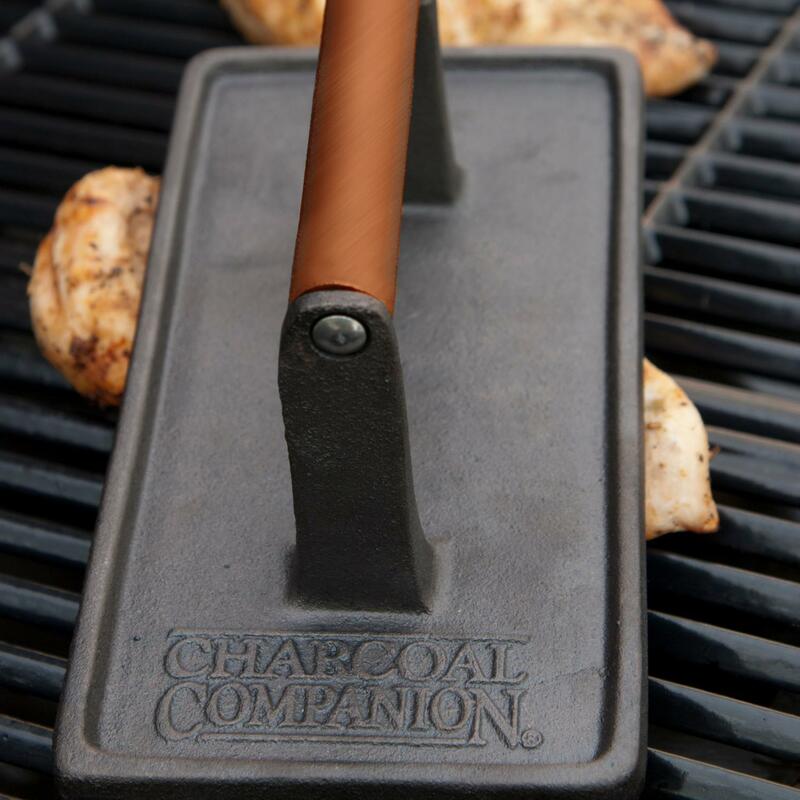 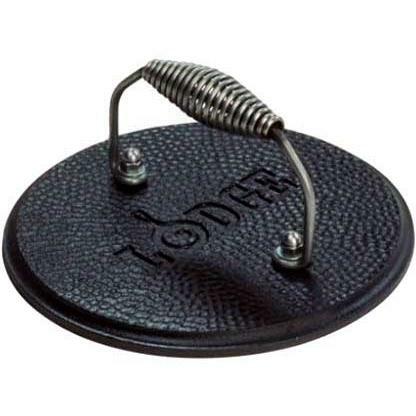 This cast iron grill press is ideal for use on the BBQ grill. 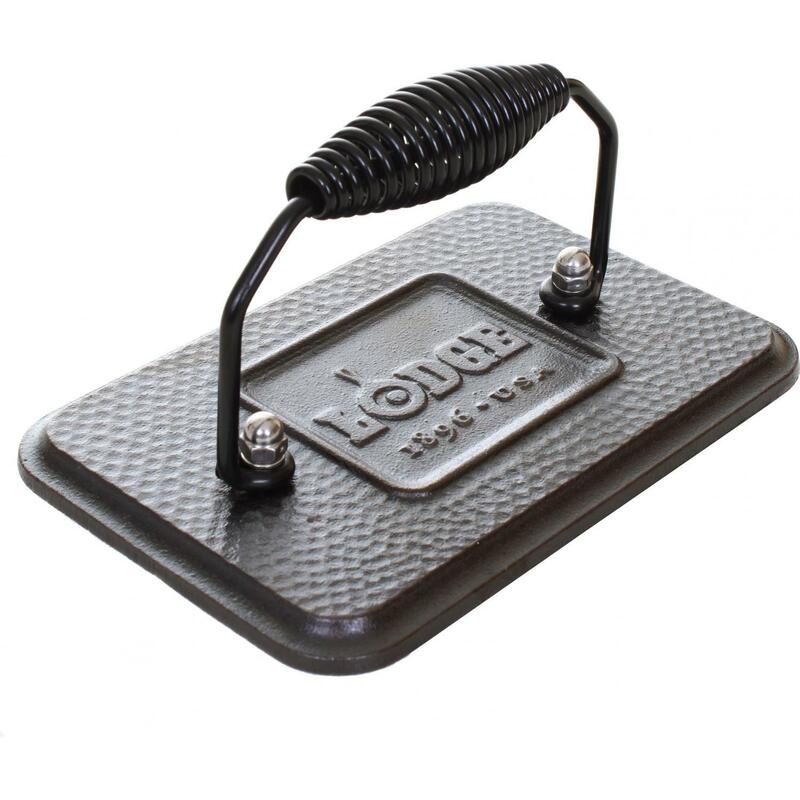 The thick 4 1/2-inch wide x 8 3/4 long plate conducts heat perfectly, while the heat-resistant wooden handle provides a safe grip. 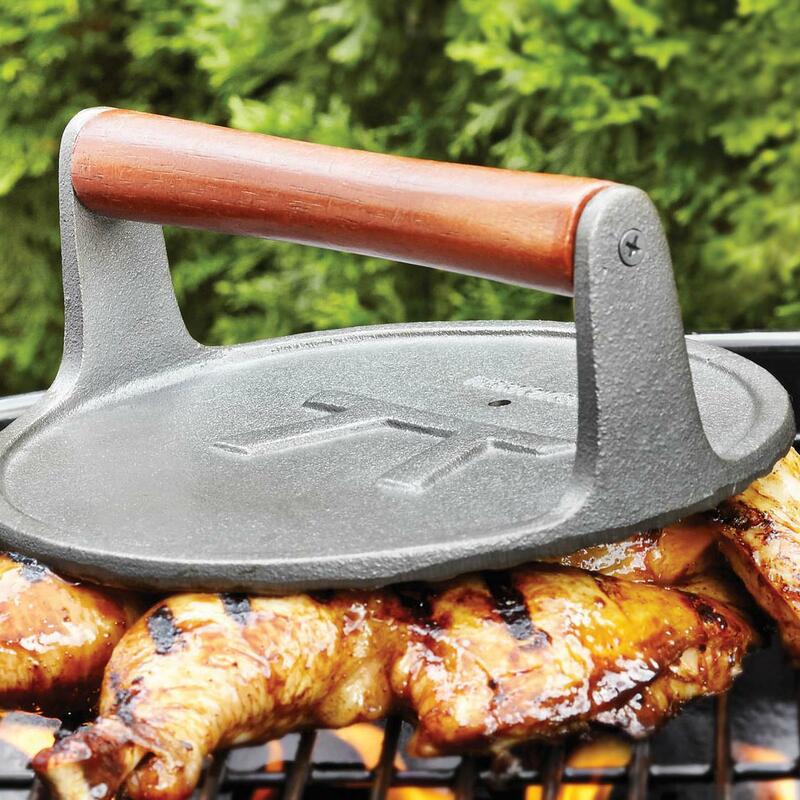 Use this 3 pound press to create great grill marks on your favorite meats.